You are here: Home / Heart Disease / Heart Valves / Can Medicines Help My Mitral Valve? The mitral valve is there to stop blood flowing backwards in the left side of the heart, and so allows blood to travel the correct way, forward, to supply the body! Most of my posts to far have been about mitral valve prolapse (MVP). In mitral valve prolapse the degenerated valve may lead to leakiness, as it can no longer function as a valve. So MVP is a mainly a disease of the valve itself. In other cases the valve tissue itself is relatively normal, but the heart is so enlarged that it stretches the valve, so that it can no longer act as a valve, leading to leakiness. Although this post is about medicines, of course in the case of a severely leaking valve, especially in patients with symptoms or signs of heart failure, surgery is typically required. Is There a Medicine To Stop The Valve Degenerating? The best way to develop a medicine to treat the disease is to understand exactly what’s happening, down to most basic of cell details, then target therapy towards those processes. For example, if MVP was down to a virus, and we knew which one, we could direct an anti-viral treatment towards it. When it comes to developing medicines to prevent degeneration of the mitral valve however, we have a huge problem in that we know something is wrong, but we don’t know exactly what it is! I’ve outlined some of the mechanisms underlying the valve degeneration in a previous post. The unfortunate truth is that we don’t really appear to be close to a therapy to stop the valve itself degenerating at the moment, although physicians and investigators such as myself are working on it. The good news is that we are making some progress in terms of medicine to stop the heart failing from a leaky mitral valve. Are There Medicines To Stop The Heart Failing From the Leaky Valve in MVP? Can Beta-blockers Help? In MVP, the degenerated valve leads to leakiness. It’s called mitral regurgitation. When that leak becomes serious enough, it causes the heart to enlarge and eventually fail. We have learned a lot about the process of the heart failing from the leaky valve, a process known as ‘volume overload’. I’ve spent a good part of my career as a physician investigator dealing with exactly this issue. In fact the lab in which I learned my trade was award the largest ever government grant ($18,000,000) dealing with this issue amongst other aspects of MVP. In mitral regurgitation the valve allows blood to leak backward from the main chamber of the heart, which results in more blood than usual pumped back in to this chamber with each beat. This increased volume of blood leads to what we call a ‘volume overload state.’ Of course when the valve is leaking severely then surgery is often required, but many patients have moderate or moderately severe leaks and no symptoms and of course the hope is that surgery be delayed or not required! For years we treated the leaky mitral valve with medicines that we typically used for other forms of heart failure but this did not work. Then we examined the heart more closely and noticed that volume overload failure had a very distinct pattern that was different. One of the things we noticed is that, there were abnormally high levels of certain hormones in the heart tissue of patients with moderate or severely leaking valves and that these high levels were associated with the heart eventually failing. This work led to a landmark study in which we used the beta-blocker metoprolol in patients to see if they could block these hormones. I was the first author on that study and we found that in patients with MVP and a leaky valve the use of the beta-blocker metoprolol could potentially prevent the heart function worsening over time. In fact there was a suggestion that those patients taking metoprolol were less likely to need surgery during the study period. These findings were published in the Journal of the American College of Cardiology and suggest that beta-blocker therapy may be helpful in patients with MVP and leaky valves. Before this can be routinely recommended to all patients, we need to do a large trial, across several countries and centers to see if the findings remain the same. Our study set the stage to do just that! Many cardiologists use beta-blockers in MVP patients anyway, often to help symptoms such as palpitations. 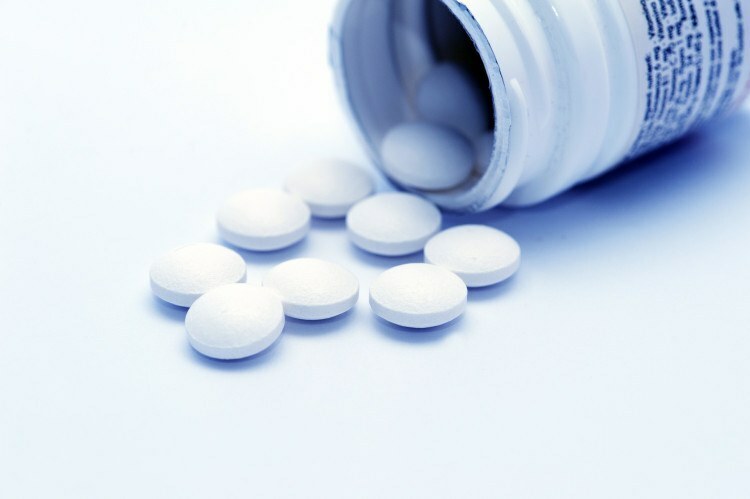 A survey of cardiologists in 2009 showed that despite the fact there is no evidence for most medicines in mitral regurgitation, there is a wide variation in medicines prescribed for this. Other than our beta-blocker trial; there as been no medicine shown to be useful in preventing heart failure from MVP and a significantly leaky mitral valve. However up to 60% of cardiologists are prescribing medicines such as an ACE inhibitor for this purpose. For all we know that could worsen the situation! Of course though, using those other medicines to treat conditions such as high blood pressure in these patients is probably ok.
As I mentioned at the beginning, other than MVP, causes of a leaky mitral valve include an enlarged heart for example in many forms of heart failure or even from a scarred heart for example in those people that have had a heart attack. In these cases medicines may be very useful. 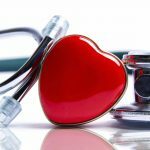 There are many medicines that have shown to be beneficial in heart failure patients; these include beta-blockers and ACE inhibitors among others. In these patients, medications work by a process known as reverse remodeling, in that they may help the heart reduce in size back towards normal, and therefore stop stretching the valve as much and maybe even reduce the amount of leak! When it comes to developing a treatment for stopping the valve itself degenerating in MVP, we have a long way to go. Fortunately we are making headway when it comes to medicines to prevent heart damage, with the beta-blocker metoprolol showing early promise, although more work is needed to be certain of that. The good news is that we are working on it, and for most people, when surgery is required; it is a safe and effective option. Mitral Valve Prolapse 2 – Whats hapenning to the valve? Mitral Valve Prolapse 6 – Alarm, Confusion, Controversy, Frustration and Getting to Where We Need to be. Any chance that hyaluronic acid may help? Were any studies done? No studies on that unfortunately.